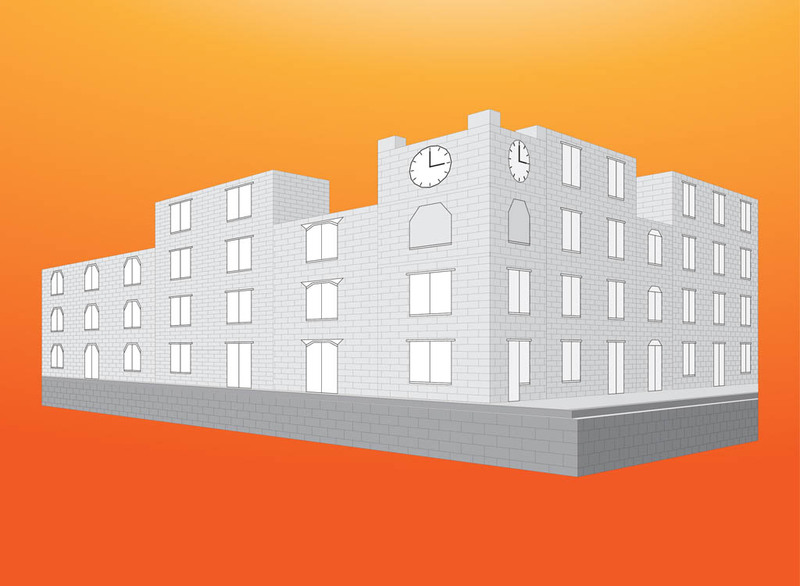 Vector graphics of a large old building. Black-and-white footage of an edifice with three floors, clock on the facade and brick walls. Free vector image for buildings, architecture, edifices, cities, urban, towns, real estate and living spaces designs. Free vector for adverts and flyers. Tags: Architecture, Bricks, City, Clock, Edifice, Town, Windows.